This is the transcript from an interview with Jesse Hagopian, a Seattle resident who was/is in Haiti when the earthquake struck. Amazing and hard story. Courtesy of “Democracy Now”. JESSE HAGOPIAN: I’m in Pétionville, just outside of Port-au-Prince, Haiti. We were staying at a hotel here when the earthquake hit. Fortunately, me and my son and my wife, who are all here, we’re fine. We’re untouched by the damage. Our hotel room was completely destroyed, but we weren’t injured at all. But unfortunately, tens of thousands of people have been injured and have lost their homes. It’s just a catastrophic scene. We had one nurse at our hotel, so he was out front helping people who were coming in who were injured. When word got out that there was a nurse at our hotel, people just started bringing their injured family members to the hotel. I was deputized by the nurse to help in whatever way I could. So he would tell me where a broken bone was, and I had to learn on the sly how to make a splint. The injuries that we saw over the last two days have just been horrific. It’s hard to describe. 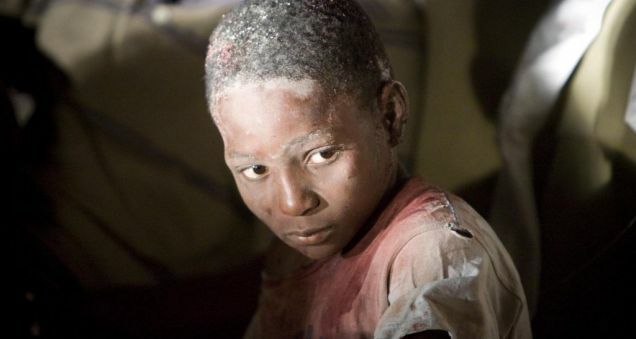 I was working on a boy who his father was there speaking in Creole, so we were trying to get a good translation, but basically what he explained was that their house collapsed, and he got out, but his son was trapped under the rubble. But he could—his son could still yell, and they spent all night trying to find him, and finally they dug him out, and they brought him to our hotel, because there was one nurse at our hotel. You knw, most of the hospitals are totally over capacity, and so the fact that there was one nurse was a huge draw to people. So he brought his son here and was barely breathing, and we worked. He had a head injury. His bone was sticking out of his leg. And we worked with the bed sheets that we’d stripped from the hotel and ripped into four-inch-long strips to wrap around his head and his leg to wrap a splint on, but he died right there today in front of us and had to be just carried off. The injuries just kept coming all day long—head injuries, people with multiple broken legs, people catatonic who couldn’t speak. Everybody is asking for medicine. You know, we don’t have basic—we don’t have Advil. We didn’t have gauze. We don’t have hydrogen peroxide. Like, it was one nurse and me, who happened to be a guest at this hotel because my wife is doing HIV work in the country. I happened to be there to help this nurse, but I have no medical training, and I just had to do whatever he explained to me to do. Too many people had sheets over them and notes, because they were dead. And if you go through the streets, you can just—you can hear. What’s really eerie is the sound of just screaming, which is constant. I can hear it right now. It’s just people either singing and praying or just really loud screams. And there’s been a lot of tremors over the last two days, so when the earth shakes again, much more mildly, people start to scream again. So it’s a really eerie sound. I can’t even imagine the horror of seeing so much sorrow. How I would love to be there, medicine and bandages in hand. I’m praying the NURSES will multiply by the hundreds, soon. This man’s story is amazing and I wish I could do so much more than pray. I would love to be there but will continue to pray that medical people will pour into Haiti and that there will be more people like Jesse, who are willing to help them out by doing what ever they are told!